I often find myself looking back at my past travels, and I catch my breath. How on earth did I do that? Is that really me inside the photo? And all of a sudden, I’m overwhelmed with what I’ve been able to see and do in just 29 short years. Thankfully, I’m still here after partaking in some questionable activities. 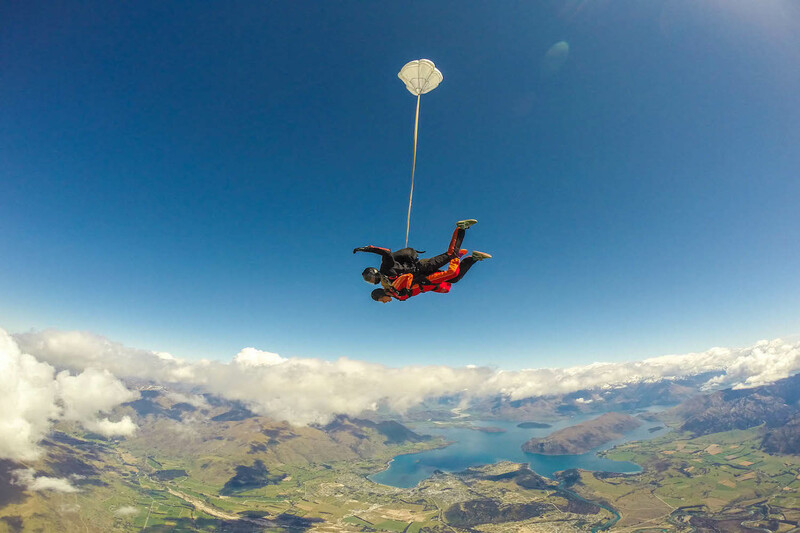 If you don’t shy away from being thousands of feet up in the air or flying down cliffs at high speeds, here are some crazy adrenaline-filled trips right up your alley. As we all know: Even for the most intrepid thrill-seekers, ain’t no mountain high enough. Yep, that’s what I call a breakfast of champions right there. 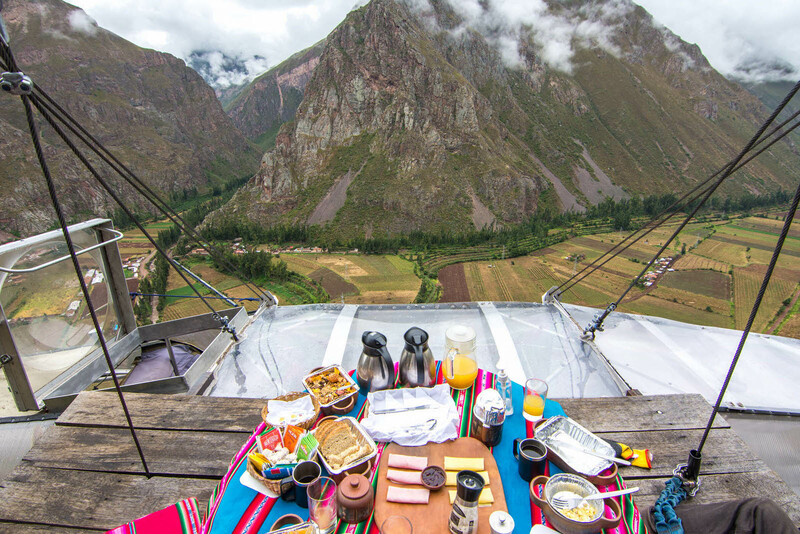 Coffee, toasted bread, fruit, ham & cheese, and SCRAMBLED EGGS…on the side of a mountain. This is my kind of luxury adventure. Welcome to the only Million Star hotel in the world where viewpoints take center stage above the Sacred Valley in Peru. Tourism company Natura Vive has bolted three pods into the side of a cliff offering guests a night they’ll never forget. After a 1,200 ft climb and a $300/night bill, you too can call this place home for an evening. Read the full story on my Skylodge Adventure night here. Ouuuuuch. That’s what my calves were saying to me as I tried to run back up the sand dune in the driest place on earth. What a workout and what can I say? 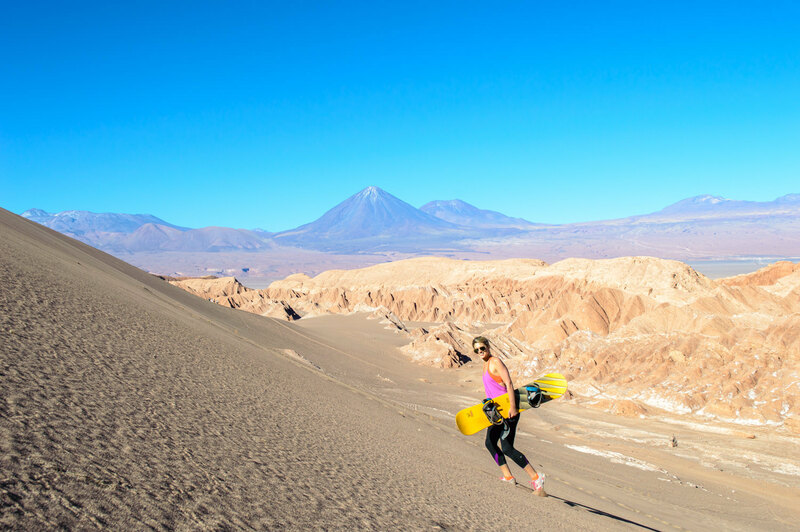 The sandboarding mecca of San Pedro de Atacama enticed me to climb up its massive dunes, strap my feet into a sand board, stand up, lean back and fly forward. Easy enough, right? Not entirely. It’s as if snowboarding and surfing had a baby, but without snow or salt water in sight. Question of the day: Why isn’t there such thing as a sand-lift? More from my extreme sandboarding adventure here. As the pilot began barreling down the “runway” which was, in reality, a field, I began questioning my decision. It was if I had just opened my eyes for the first time and realized I was inside a contraption with just a few parts stuck together. No walls, no door, no nothin’. Powered by an engine, these two-seater aircrafts are not enclosed, allowing passengers like moi to touch the clouds, smell the fresh air and take in all the surroundings. Welcome to sensory overload at its finest, a la Hacienda AltaGracia Resort in the southern region of Costa Rica. 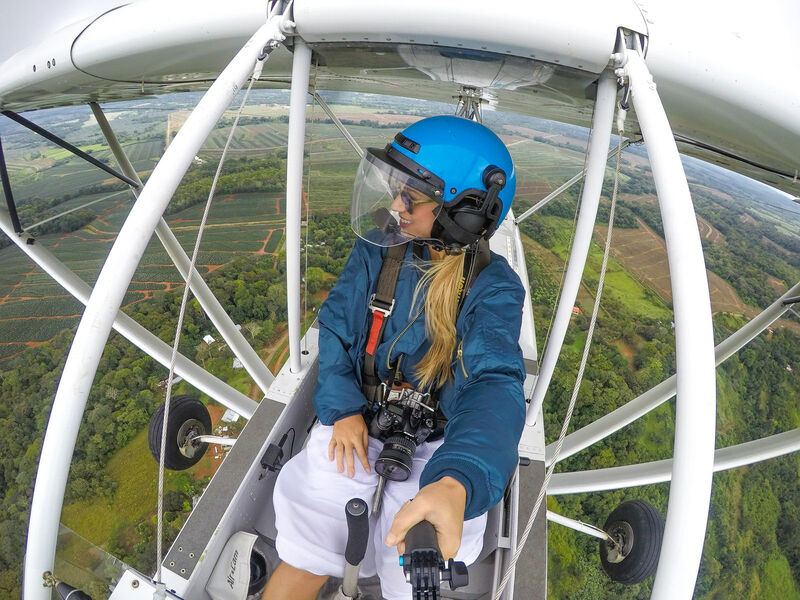 Get my full ultralight aviation experience here. 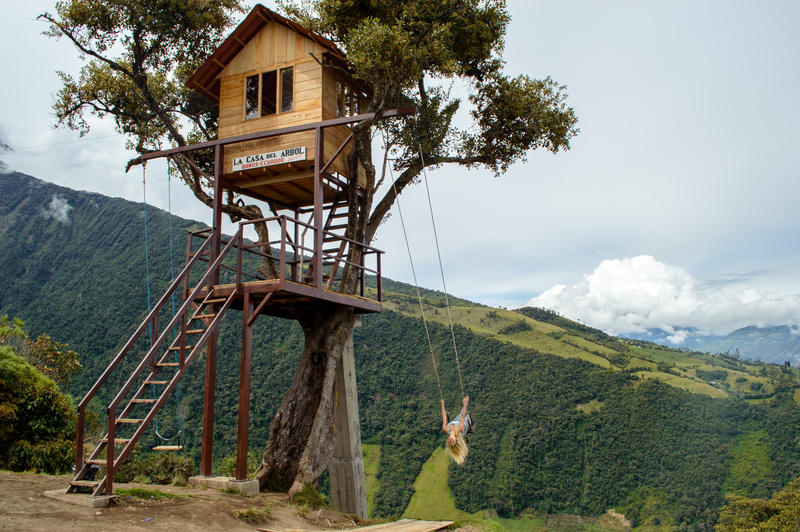 Allowing my inner 7-year-old to come out at the Swing at the End of the World (aka ‘La Casa del Arbol’) was one of my best adventures to-date. I was visiting Quito after sailing through the Galapagos Islands and knew this little beauty was only a 3ish hour drive away. I was so close, and I wasn’t about to let it pass me by. As a brave participant, I swung over the cliff below, observing Mt. Tungurahua, the nearby active volcano. 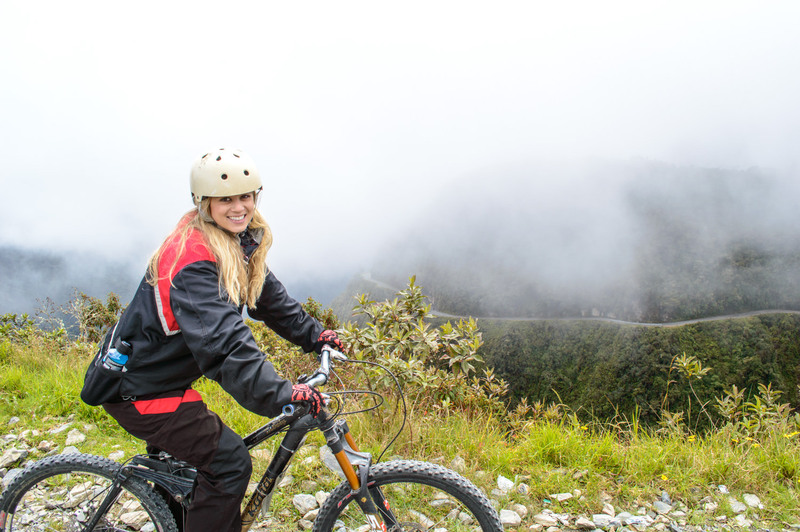 An adventurers’ playground, Baños incorporates many outdoor activities such as waterfall hikes, ziplining, bungee jumping, white water rafting, paragliding and biking. With so much awesomeness, this destination deserves some quality time. If you’re vacation deprived, try exotic Ecuador. Okay, so maybe this isn’t my best look, but I’m going functional over fashionable any day when biking the world’s most dangerous road. An hour outside of La Paz, Bolivia, exists a road so treacherous that it’s aptly named The World’s Most Dangerous Road…and thousands of people pay to bike it yearly. Tour Company Gravity takes daredevils like myself to La Cumbre (4,760 m) where they start downhill on bikes equipped with double suspension and hydraulic disk brakes. Around 300 people die each year while on death road. Don’t make it 301, but do read my Death Road post. I almost died. Many, many expletives were running through my head and finding their way out my mouth as my GoPro caught this image. Why live on the edge when you can jump off? He, he. That’s my nervous laugh in text. Why I decided to make my way over to Macau from Hong Kong via ferry BY MYSELF, I’ll never know…but I’m damn sure glad I did. The World’s Highest Bungee Jump comes in at 764 ft., and the AJ Hackett Hackett Macau Tower sees over 100 jumpers per day (plus tons of adrenaline!) Many visitors to Hong Kong make the hour-long ferry ride over to the Macau free fall (with passports in order to gain entry!). Word to the worried: AJ Hackett has never seen an accident. They even offer night jumps – do you dare? 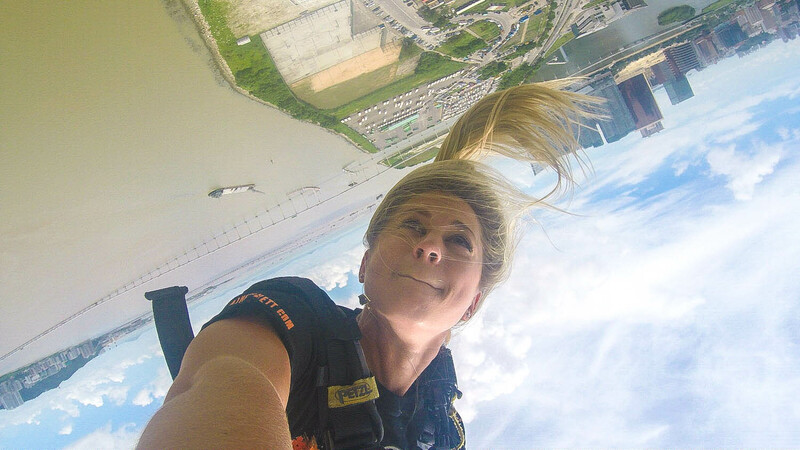 Read my full bungee story here. Skydiving was never on my list, but something that gets your blood pumping is probably something worth doing. We went up, up and up some more until we were high above Mt. Cook in our bright orange Cessna Caravan. It was all fun and games until about 600 ft. from the bottom when we hit turbulence and my canopy decided to collapse. HELLOOO free falling, again, except this time it was much closer to the ground…and turbulence close to the ground is the skydiver’s enemy. Luckily, the stars aligned and my canopy decided to inflate again before we hit the ground, and my tandem pilot and I lived to see another day. Thanks, New Zealand. Thanks for sharing your incredible life! My name is Joseph Talley, I’ve just been released from prison after 4 years of incarceration. Odd intro, I know. Just got tangled up with the wrong people and made some bad decisions, that’s all. I randomly ran across your Instagram and wow!! I have absolutely no clue who you are but, you seem pretty dang awesome to me. Most people dream of travel, you actually do it. Super commendable in my book. Forgive me for not looking any further but, what exactly is it that you do and why? 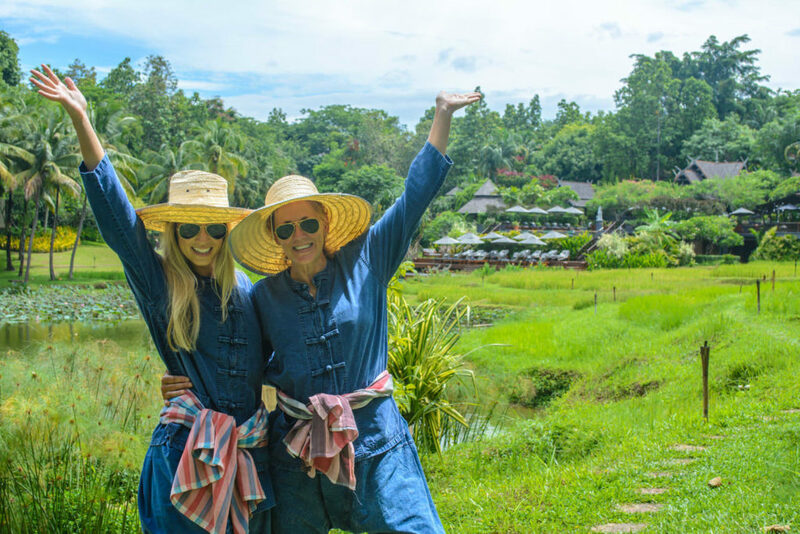 You travel and blog? I’m a member of toastmasters international and have the gift of public speaking. I have absolutely no problems speaking to large groups or singing. I’m quite the gifted singer you see, not being prideful, I just know who I am. Please be in touch with details of your actual work and how I might become a part of it. P.s. I couldn’t leave this message on your “let’s chat” option. It may be an error with the website. It wouldn’t allow me to put in my first or last name. I just stayed in Skylodge here in Peru and I can’t even put into words what an incredible experience it was! Yes it was physically demanding and scary as hell but coming out on the other end and looking back to what we accomplished is such a memory I’ll never forget! Thanks Lesley for inspiring me to take this trip through your photos! Lesley, I’m 29 and turn 30 in August like you! I want to finally get a stamp on my passport!! Caught you on reality Steve podcast today and was SO totally impaired! I wish I had more money to travel!